Bonnie Segers, her husband, Donald, and their three daughters, Laura, Julie and Blair (above) all began to volunteer with the Laura Crandall Brown Foundation – a Birmingham-based nonprofit supporting ovarian cancer research and awareness. Photos special to the Journal. By the time Julie Lovell’s mother, Bonnie Segers, was diagnosed with ovarian cancer, the disease was already stage IV. Segers passed away Dec. 1, 2011, two years after her diagnosis. She was 53. But even before her passing, Segers’ family took action against the disease. “As soon as she was diagnosed, we were out helping with events within a month or two,” Lovell said. Segers, her husband, Donald, and their three daughters, Julie, Blair and Laura, all began to volunteer with the Laura Crandall Brown Foundation – a Birmingham-based nonprofit supporting ovarian cancer research and awareness. They called themselves Bonnie’s Brigade. 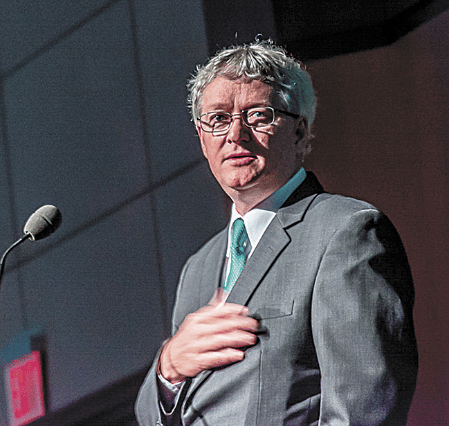 The family was drawn to the organization because of its mission for early ovarian cancer detection. September is Ovarian Cancer Awareness month, and the Laura Crandall Brown Foundation’s Head Over Teal 5K and 10K are Sept. 24. Lovell, who is on the Head Over Teal committee, said the event is family friendly and will focus on fun and education. Donald Segers agreed, saying the subtle signs were there for his wife, but only in hindsight. Now, Segers said he and his daughters want to spread the word that ovarian cancer isn’t like other cancers. “Mothers, sisters, daughters need to be aware of the symptoms even if they think it is no big deal. Even after Bonnie had fluid on her lungs, it took us weeks to diagnose it as ovarian cancer,” he said. Lovell described her mother as someone who was always 100 percent involved in her children’s lives, even hand-making costumes for dance recitals and knitting warm hats for the homeless during the holidays. Lovell said she believes her mother would still be working toward spreading awareness today. Donald Segers said he’s proud of the work his daughters are doing to keep their mother’s memory alive for others. “It isn’t hard for us to remember her, but I think it gives the girls a feeling that something positive could come out of losing a mother,” he said. The Head Over Teal run will begin at 8 a.m. at the Hoover Preserve. Runners/walkers of all ages can register, form a team page, or learn about sponsorships online at thinkoflaura.com. 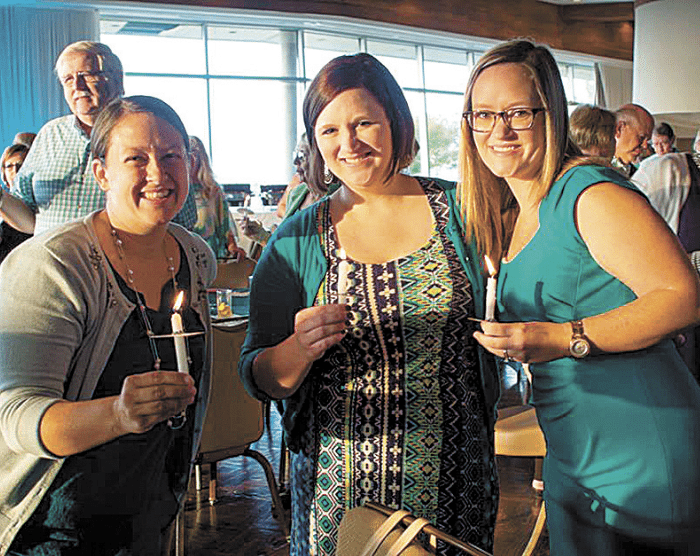 The Laura Crandall Brown Foundation organizes several events throughout the year, including advocacy days, golf tournaments, Taste of Teal and a comedy show called Tickled Teal.